Last night we wandered the streets of San Miguel in search of altars big and small. It was another night for Semana Santa, this time called Viernes de Dolores, Friday of Sorrows or Night of the Altars. Sunday morning, two weeks before Easter we got up early!! 4am to be precise, since we wanted to go and watch the “carpets’ being made on Avenida Independencia in San Miguel de Allende. We would then wait until the “Entrance and Discovery of the Lord of the Column” (Estrada y Descubrimiento Del Señor De La Columna) procession went by at sunrise. Getting up this early wasn’t easy but we were so happy we did as the spirit and camaraderie of those working on the “carpets” and witnessing the event was palpable. 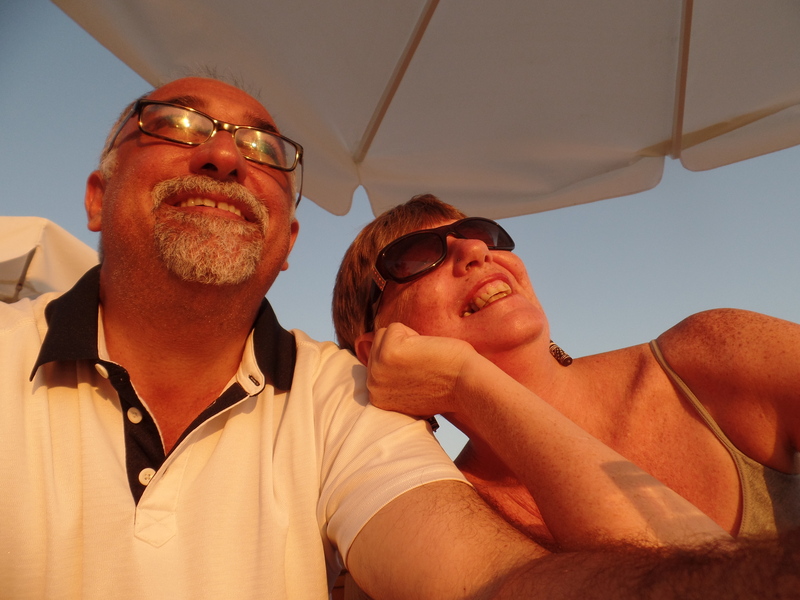 We have just arrived back to our home town of San Miguel De Allende after almost two months traveling around the three Yucatan states of Quintana Roo, Yucatan and Campeche. And, (drumroll please) our move to San Miguel as the perfect spot for us to live in Mexico has been reinforced. 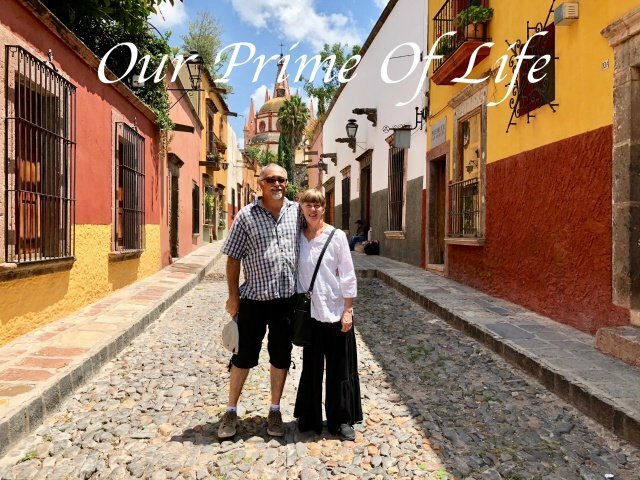 ,Since we had made the trip to Uxmal to see the ruins we felt we may as well continue on to visit the colorful town of Campeche on the Gulf coast of Mexico. It is an Instagramable Unesco World Heritage Site especially in its Centro where narrow streets are lined with pastel colored facades. A week ago we made our way from Merida to Uxmal, very excited to see these impressive ruins. We had pre-booked our bus tickets using SUR, a second class bus company that is the only one that travels to Uxmal (50% discount for me using INAPAM over 60 resident card). This bus continues on to Campeche. Something we would do the following day. There is no on-line booking for SUR so you must go to the bus terminal in order to purchase your tickets. Uxmal is a popular trip, especially for day trippers, so I would do this initial section a couple of days in advance. Thinking correctly that it would still be the cold winter weather up in San Miguel de Allende during February and March we added colorful Merida into our 2 month Yucatan adventure. Today it is 99 at 5pm, so we are definitely getting our heat fix in. Izamal is a small town in the Yucatan about an hour drive from Merida, making it a nice day trip. We made it there on our second attempt, since the first day we tried had rain clouds and eventually a bit of rain and we didn’t feel like wandering around and sightseeing in a downpour. On our second try the sun was shining, a bit too much it turns out, as the temperature was 98 degrees!! !